So as you can tell, this was one of my holiday reads! I read 50 Shades of Grey, followed by Sushi for Beginners (Marian Keyes) in record time and was left with 2 days left and nothing to read. Nightmare! Luckily, the apartment we were staying in had a well stocked bookshelf for me to take my pick from. And this is what I chose! I recognised the title and think I actually read this when I was younger, as the front cover and the blurb on the back looked and sounded familiar. After reading the book I realised that the book was also adapted into a child-friendly version called Chinese Cinderella. I remember absolutely loving the book at the time, so it was great to read the 'grown up' version to fill the gaps. Falling Leaves is a true story based on the childhood and life of Adeline Yen Mah, growing up with her Father and Step-Mother in China. A review by Jung Chang (the author of Wild Swans) describes this book as "a vivid portrait of the human capacity for meanness, malice... and love", and I think this really sums up Falling Leaves. We are told by Adeline how she was mistreated by her parents and siblings not only as a child but throughout her whole life - there really are some awful moments which make you wonder how anyone (let alone a parent) can be so cruel. But, as Chang says, Falling Leaves also shows moments of love and tenderness, especially through Adeline's description of her relationship with Grandfather YeYe and Aunt Baba. 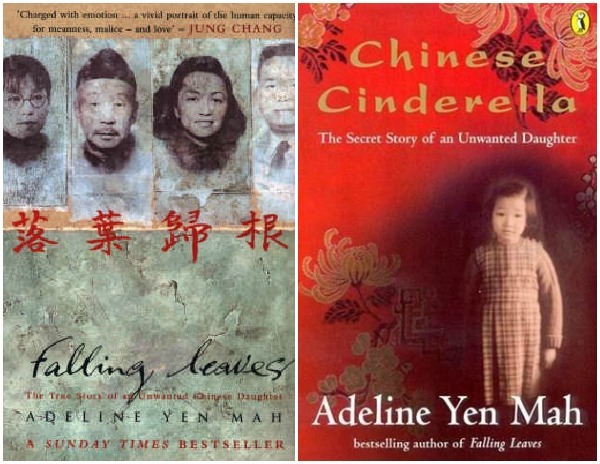 Falling Leaves not only tells the story of Adeline's neglectful parents, but also gives an insight into life in China at the time of the civil war. If you have read Wild Swans, you will be able to make connections between the two and have a good idea of some of the hideous conditions people had to live in, and regimes they were forced to live under. I must admit I didn't finish Wild Swans; I read about three quarters and then gave up! 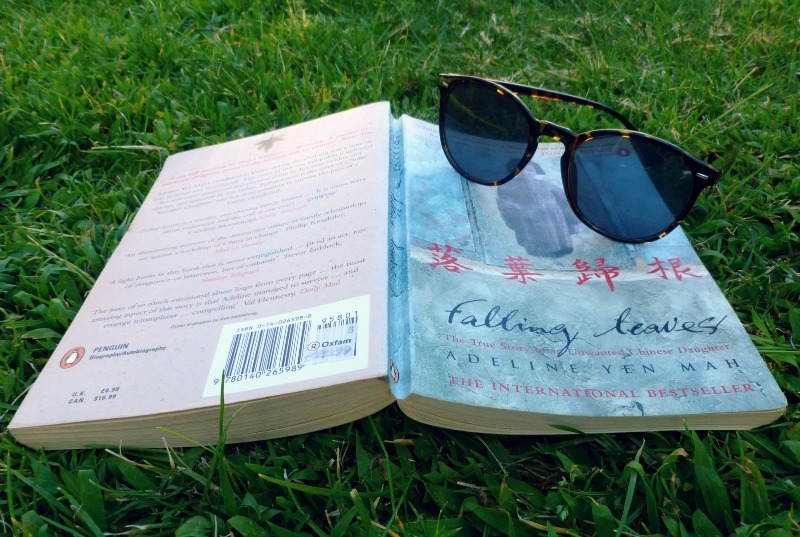 Falling Leaves is sort of an abridged version of Wild Swans, starting through the eyes of a young girl who grows up and moves to London, America and Hong Kong. I really enjoyed this book... I read it in less than 48 hours! As I say, there are some really harrowing tales, but at the same time stories of hope and perseverance. You can't help but empathise with Adeline - as it is told in the first person you really take on some of the hurt and pain she suffered, which is testament to how well this book is written. As a child I loved Chinese Cinderella, and as a 'grown up' Falling Leaves just develops this story by putting it in a wider setting with an equally strong storyline. A must read, especially if you are interested in the social and political history of China. Have you read Falling Leaves? Or Chinese Cinderella? I have read both! A really amazing author and such a great insight to chinese culture. I love you EVEN MORE now you've posted this! One of my favourite books ever, I read this and Wild Swans before I went to China a few years ago and so pleased I did as it made such a difference having a better understanding of the country and traditions as we were going round. Basically, you're my favourite! i read chinese cinderella when i was younger, and the duck part really stuck with me. I read Chinese Cinderella when I was much much younger, maybe about 11 or 12 and the part about the duckling has stuck with me forever too! I really want to re-read this now :) I can't believe how much one book can stay with you for over a decade!